Come with us into Grandma's attic, that storehouse of many forgotten treasures--each piece reminding Grandma of a story from her childhood. Still More Stories From Grandmas Attic by Arleta Richardson was published by David C Cook in August 2011 and is our 10683rd best seller. 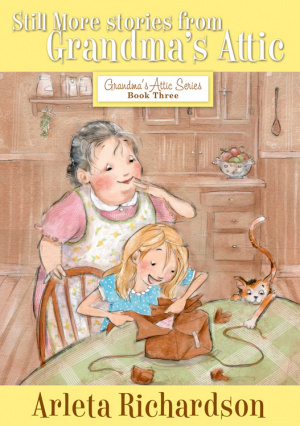 The ISBN for Still More Stories From Grandmas Attic is 9780781403818. Be the first to review Still More Stories From Grandmas Attic! Got a question? No problem! Just click here to ask us about Still More Stories From Grandmas Attic.